Sugary drinks and sweet treats have many calories but contain small nutrients. It’s a fact that the added sugars can be found in sodas, juice drinks, sport drinks, energy drinks, candy, ice-cream, cakes, cookies and sweets. By decreasing these foods and beverages (less than 6 teaspoons of added sugars for female and 11 teaspoons of added sugars for male daily), you help the kids to develop healthy eating habits and avoid health issues, for instance, as follows. 1. Provide small amounts of sweets. It is recommended to gradually minimize the amount of sweets, candy, ice-cream or biscuits your kids eat a day. Serve these kinds of treats in smaller plates, can go along throughout the whole day, and encourage them to share with others. 2. Prevent check-out lanes displaying candy, so we don’t tempt kids who might ask to buy some candy. 3. Drink smarter healthier beverages such as water, fat-free milk, 100% juice when they are thirsty rather than consume soda or sweet drinks which are rich in sugar and calories. 4. 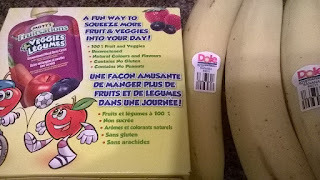 Avoid high calorie desserts by providing 100% fruit-veggie squeeze snacks or fruits (see Figure 1. ), salads, baked apples or pears for dessert and offer 100% frozen juice bars. 5. Prevent offering sweets as rewards for your kids. Consider rewarding kind words, comforting hugs and presenting some non-food stuffs such as stickers, games, art/music/sport tools etc. 6. Making treats only on special occasions, not daily food. Sweet treats are reserved for special events such as birthday cakes, and are enjoyed most when consumed once in a while. 7. Provide nutritious food for fun by engaging kids to cook healthy snack together and try to be creative. Having fun by a smiley face with bananas and raisins or cutting fruit into happy-face shapes using a cookie cutter. 8. Encourage kids to create new snacks by experimenting original mixes of dried fruits, unsalted nuts or seeds to invent food which kids will like to eat. 9. Do not substitute regular meals by sweets. 10. Teach kids to play a detective in the store, for instance, by discovering the amount of total sugars or carbohydrates on the cereal box the kids love most, then comparing it with the other cereal boxes that have lowest amount of sugars. Furthermore, making healthy eating habits in kids is important for staying them fit and avoiding health issues. Kids who like to eat sweets and food rich in sugar would skip eating vegetables and fruits. It is recommended that kids are encouraged to eat more vegetables or fruits and ask kids to prepare their own foods then to try the food they cook themselves, but it depends on their ages and cooking skills. Further study is done by Health Canada pertaining to current food skills and fact sheets in Canada (see the attachment, http://www.slideshare.net/PrihtaMala/food-skills-factsheetengfinal). There are some easy ideas to create healthy snacks for kids, as the following examples. 1. Create smoothies by blending low-fat or fat free yoghurt or milk with bananas (see Figure 1. ), peaches, pineapples, berries, and crushed ice or freeze the fruits first. Kids can use fresh, frozen or canned fruits, for the cocktail. 2. Make delicious dippers by whipping up a nutritious dip with yoghurt and seasonings like herbs and garlic to be served with raw vegetables such as carrots, broccoli, cauliflower, or with cinnamon raisin and vanilla dip. 3. Create caterpillar cabobs by cuttings slices of melon, orange, apple and pear then arrange them on skewers for a fruity cabob, or try a vegetable version of zucchini, squash, tomatoes, sweet pepper and cucumber. 4. Invent personalized pizzas by engaging the kids in making a home-made pizza. They can use whole-meal English muffins, pita bread or bagels to create a crust with tomato, sweet chilly or BBQ sauce, low fat cheese, vegetables, or fruits for topping. Then put the pizza into the oven to heat it up. 5. Develop potato person by adorning half of bakes potato with sliced cherry tomatoes, peas and low-fat cheese to make a smiley face on the potato. 6. Make a fruity peanut butterfly by utilizing celery sticks to create the body and thin slices of apples to make the wings and assemble them with low-fat peanut butter, then, adorning with halved grapes or dried fruits. 7. Enjoy frosty fruits by consuming frozen treats, especially in summer or hot weather. Provide fresh fruits in the freezer, then inserting sticks into peeled bananas and freezing them to make the fun popsicles. 8. Have homemade trail mix by creating your own trail mix, mixing nuts, such as unsalted peanuts, cashews, walnuts, sunflower seeds with dried fruits, for instance, apples, pears, apricots, pineapples, raisins, plus add whole-grain cereals to the food. 9. Invent bugs on a log of cucumber, celery, carrot sticks. Then, add peanut butter and top with dried fruit of cherries, cranberries, strawberries, raspberries and blueberries as well as raisins, cinnamon, grapefruits, pummelo etc. 10. Ask kids to be in charge by naming the food (vegetables and fruits). Let them assemble raw vegetables or fruits to create happy shapes. So, lets starting your new experiments and having fun, kiddos! Carbohydrates or fats are an important part of a healthy diet as they give fuel supply you need to get through the day, fight fatigue, and leave you full. But there are problems in choosing the right types of carbohydrates. Healthy carbohydrates have complex structure and rich fiber. Complex carbohydrates are found in whole grain, brown rice, whole wheat (stone ground), millet, quinoa, or beans, legumes, fruits and vegetables. The complex ones are rich in nutrients and stay feeling full and satisfied because of long-lasting energy. Simple carbohydrates can be found in white flour, white rice, and sugary food that should be avoided. They have plenty of empty calories and provide only short-lived energy leaving you hungry for more. Moreover, having fibre-rich diets have many health benefits. The positive effects on your digestive health, regular bowel movements, that helps you avoid constipation so you don’t need medicinal laxatives. Fiber is also recommended as a part of a healthy and balanced diet. There’s a fact that most Canadian women get less than 25 g of fibre every day and Canadian men have less than 38 g of daily fibre they need as a part of a healthy diet. Fiber can be found in fruits, vegetables, nuts, and grains, for example, as listed in Table 1., below. It can be difficult to regularly get enough fibre every day from the food you eat. Adding a fibre supplement can be a good choice for many people. BenefibreR is a fibre supplement you can have every day, not a laxative medicine, so it’s safe for daily usage. It can be used by anyone looking to add their fibre intake and can be added into a healthy lifestyle which involves a balanced diet rich with fruits and vegetables and regular exercise. 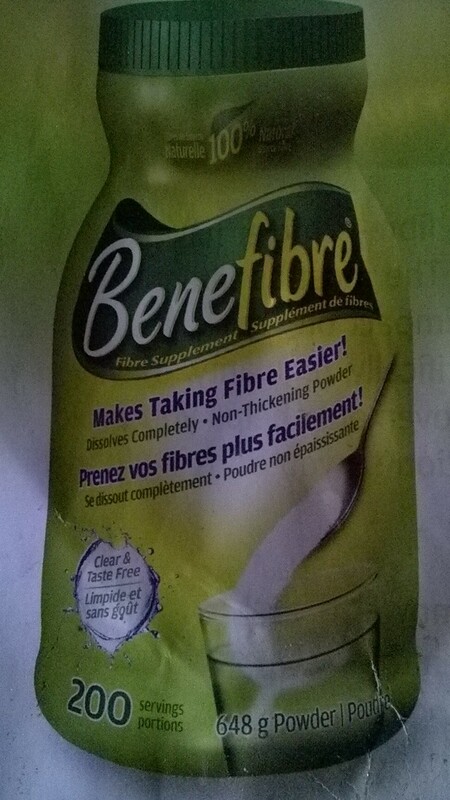 BenefibreR has inulin from the chicory root, 100% natural prebiotic, no sugar added, gluten free, no added fillers and artificial flavours, colors or sweeteners, clear, taste-free, dissolves completely, great for cooking, does not thicken or swell and does not pose a choking hazard, provides only 5 calories per dose, can be mixed in water, coffee, juice or soft food, does not interfere with medications that can be taken with food, promotes regularity, can be given via tube feeding, and requires only 125 mL of liquid or soft food. In addition to the carbohydrates from whey, we should know about certain food additives such as peroxidase in whey products (see the attachment, http://www.slideshare.net/PrihtaMala/document-consultationengwhey-61255442). So, are you getting enough daily fibre? (See Table 1 and Figure 1. ).